I'll take the one on the roof please. Wow, very cool! Where did you find it? HI All, thanks for your comments. 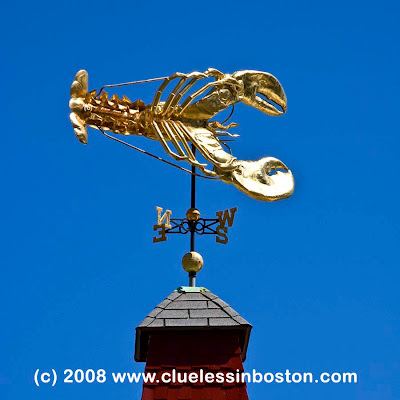 This is the weather vane for the James Hook Lobster Company on Northern Ave. Click their name to visit their website - you can order lobsters and find recipes. Well it's certainly different. Photographed perfectly against that magnificent blue sky.